Our 100% natural, organic coconut bowls are beautifully handcrafted from the shells of tropical coconuts! Each bowl goes through a process of being cut, cleaned, sanded and finished with a food-grade organic, virgin coconut oil. They are the perfect companions for smoothie bowls, salads, soups, curries, noodle dishes and pastas, and will brighten up any meal time! Each bowl is hand crafted from sustainable sources, and due to the authentic nature of the coconut, each bowl is 100% unique with it's own colour, shape, design, pattern and look. Each bowl has a diameter of 12 - 14cm (4.7-5.5 inches) with an average depth of 6cm (2.3 inches) and volume of around 450mL (15.2 fl.oz.). With the proper care, each bowl will last hundreds of uses and will add a romantic tropical feel to every meal! These bowls are best used with the Tropical Ebony Spoon! What can I use Coconut Bowls with? Coconut Bowls are the perfect companion to smoothie bowls, salads, soups, curries, pastas, Asian cuisine and any other meals requiring a bowl. These bowls are best used with the Tropical Ebony Spoon! How do I care for my Coconut Bowl? It's best to clean these bowls by hand using warm, soapy water. How large are Coconut Bowls? Visit our recipes section for fun ways to use Tropeaka Coconut Bowls! I absolutely adore these bowls! 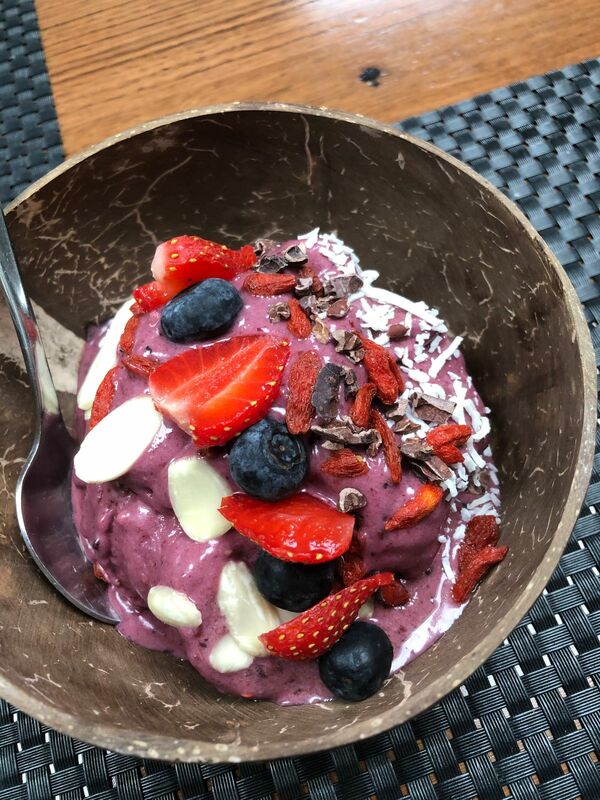 Each one is unique, and they make your smoothie bowls that much more of a refreshing experience! Love serving up my smoothie bowls in these awesome dishes! I feel like I’m eating out when I serve up my smoothie bowls! Look great and good quality and easy to wash! Easy to clean, big enough for smoothie bowls or even fruit snacks to be held in ! !